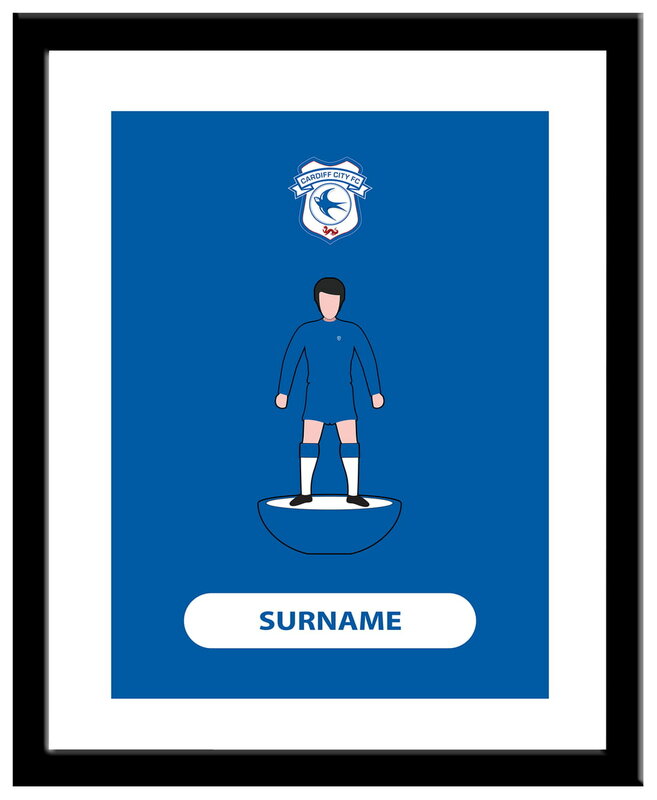 Our Personalised Cardiff City Player Figure Print is sure to raise a smile when the recipient sees their personalisation on the Player Figure Print. This Cardiff City Evolution Print is the perfect gift for any occasion. Our Personalised Cardiff City Stripe Print is sure to raise a smile when the recipient sees their personalisation on the Stripe Print. This Cardiff City Retro Shirt Print is a fantastic gift for any occasion. Keep yourself hydrated in style with your own personalised Cardiff City Subbuteo Water Bottle.